Summary: Researchers have identified a potential mechanism to help control inflammation associated with Parkinson’s disease. 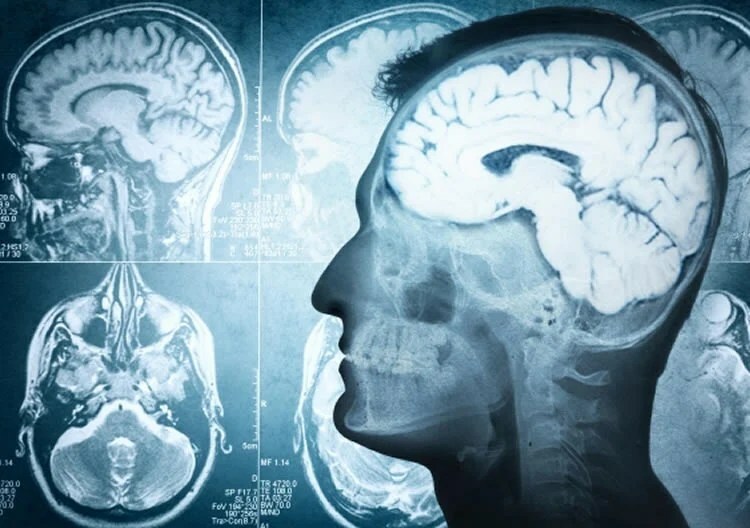 A new Australian study modelling the early stages of Parkinson’s disease has given researchers insight into its causes and a possible treatment. A new Australian study that models the early stages of Parkinson’s disease has given researchers insight into its causes and a possible treatment. “We’ve shown how inflammation within the brain is related to the development of Parkinson’s disease, and we’ve identified a potential mechanism that can prevent this inflammation,” says lead author Dr Nic Dzamko, a NHMRC CJ Martin Fellowship holder in the Faculty of Medicine at UNSW in Sydney. “This is the result of four years’ worth of work, and we’re really excited by the outcomes. It offers hope and introduces a new target for therapeutic research, which we’re now working on,” says Dr Dzamko, who is based at Neuroscience Research Australia (NeuRA). Parkinson’s disease is the second most prevalent neurological condition after dementia. The disease is characterised by the abnormal accumulation in the brain of a protein called α-synuclein, as well as the loss of dopamine-producing cells in an area of the brain known as the substantia nigra. The loss of these cells causes the symptoms of Parkinson’s, including trembling, stiffness, slowness of movement and a loss of fine motor control. The NeuRA research team used pluripotent stem cell technology to turn human skin cells into neuronal cells in order to understand the effects of inflammation on the brain. “Although the exact causes of Parkinson’s disease are unknown, accumulating evidence suggests that inflammation plays a strong role in the development of the disease,” says Dr Dzamko. The brain uses toll-like receptors (TLR) to detect pathogens and regulate inflammation arising from compromised immunity. A consequence of activating TLR is the production of α-synuclein, which is responsible for creating ‘clumps’ of Lewy bodies; a hallmark of Parkinson’s disease. Using stem cells, researchers activated TLR2, which created an inflammatory response that increased the levels of α-synuclein, suggesting that inflammation is a cause, at least in part, of Parkinson’s disease. NeuroscienceNews image is adapted from the University of New South Wales press release. Using stem cells, researchers activated TLR2, which created an inflammatory response that increased the levels of α-synuclein, suggesting that inflammation is a cause, at least in part, of Parkinson’s disease. Crucially, the team also introduced a drug that inhibited TLR2, which prevented the increase of α-synuclein ‘clumping’ in the stem cell-derived neurons, suggesting it is a target for further research into therapeutic interventions. Image Source: NeuroscienceNews.com image is credited to adapted from the University of New South Wales press release. University of New South Wales. “Key Cause of Parkinson’s Can Be Treated.” NeuroscienceNews. NeuroscienceNews, 1 December 2016. University of New South Wales. “Key Cause of Parkinson’s Can Be Treated.” http://neurosciencenews.com/parkinsons-tlr-neurology-5650/ (accessed December 1, 2016). Inflammation is likely a key contributor to the pathogenesis of Parkinson’s disease (PD), a progressively debilitating neurodegenerative disease that is accompanied by a pathological accumulation of the α-synuclein protein in a staged manner through the brain. What leads to the accumulation of α-synuclein in PD and how this relates to inflammatory pathways, however, is not entirely clear. Toll-like receptor (TLR) signaling is a major pathway mediating inflammation and, in particular, TLR2 is increasingly being implicated in PD. We have, therefore, examined the expression of TLR2 in postmortem brain tissue from PD patients and matched controls. We confirm that TLR2 is increased in PD brain, and find that levels of TLR2 correlate with the accumulation of pathological α-synuclein. TLR2 was expressed on neurons as well as microglia; however, the neuronal rather than glial expression of TLR2 was significantly increased in PD brain in accordance with disease staging, and TLR2 was strongly localized to α-synuclein positive Lewy bodies. In cell culture, activation of neuronal TLR2 induced an inflammatory response, including the secretion of inflammatory cytokines and microglial-activating chemokines, as well as the production of reactive oxygen species. Moreover, activation of neuronal TLR2 increased levels of endogenous α-synuclein protein, which was in turn associated with increased levels of the autophagy/lysosomal pathway marker p62. Finally, promoting autophagy with rapamycin or pharmacological inhibition of the TLR2 signaling pathway prevented the TLR2-mediated increase in α-synuclein in neuronal cell cultures. These results implicate neuronal TLR2 expression in human PD pathogenesis. In particular, the increased expression of TLR2 on neurons may provide new insight into disease pathogenesis and/or options for therapeutic intervention.